The German-Polish Non-Aggression Pact was an international treaty between Nazi Germany and the Second Polish Republic signed on January 26, 1934. In it, both countries pledged to resolve their problems through bilateral negotiations and to forgo armed conflict for a period of ten years. It effectively normalized relations between Poland and Germany, which were previously strained by border disputes arising from the territorial settlement in the Treaty of Versailles. As a consequence of the treaty, Germany effectively recognized Poland's borders and moved to end an economically damaging customs war which existed between the two countries during the previous decade. 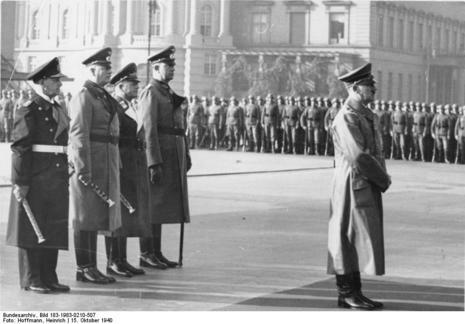 One of the most widely remarked-on of Józef Piłsudski's foreign-policy moves was his rumored proposal to France to declare war on Germany after Hitler had come to power in January 1933. Some historians write that Piłsudski may have sounded out France regarding the possibility of joint military action against Germany, which had been openly rearming in violation of the Versailles Treaty. France's refusal might have been one of the reasons Poland signed the German-Polish Non-Aggression Pact in January 1934. However, the argument that the German-Polish non-aggression pact had been forced on Piłsudski by French refusal to wage a "preventive war" has been disputed by historians who point out that there is no evidence in either the French or Polish diplomatic archives that such a proposal was ever advanced. They state that when in late October 1933 rumors of a Polish "preventive-war" proposal were reported in Paris, their source was the Polish Embassy, which had informed French reporters that Poland had proposed a "preventive war" to France and Belgium; but by this time Poland and Germany were already secretly negotiating their non-aggression pact. It has been argued that Piłsudski had had the Polish Embassy start rumors about a "preventive war" as a way of pressuring the Germans, who were demanding that Poland abrogate its 1921 Franco-Polish alliance. In the event, the Polish-German non-aggression pact specifically excluded that alliance.